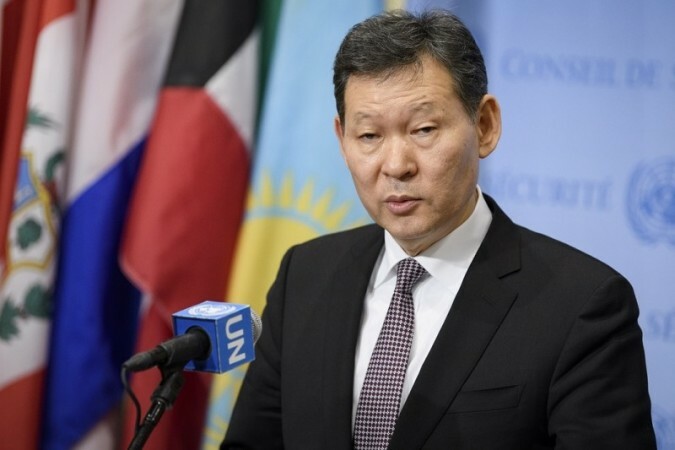 United Nations, Jan 12: A Security Council mission is to visit Afghanistan in a show of support to the war-torn nation, Council President Kairov Umarov has said. Kazakhstan will organise and lead the Council mission to Afghanistan, which would be the first in seven years, Umarov told reporters on Thursday. "We think it is important for the Security Council members to get an update on the ground (in Afghanistan)," he added. A date and other details of the visit have not been finalised although his country has been working on it since he took over the presidency, said Umarov, who is also the Permanent Representative of Kazakhstan. All the 15 members of the Council participate in the missions, which give them a first hand look at the situation in a country or region. Afghanistan, which is a neighbour of Kazakhstan, is receiving attention at the Council under his presidency. Next week Kazakhstan's Foreign Minister Kairat Abdrakhmanov is to preside over a high-level Council meeting on January 19. Afghanistan's Foreign Minister Salahuddin Rabbani and ministers of other countries are also expected at the meeting, Umarov had said earlier. Asked Thursday about a meeting that the members of the Council had on Tuesday with US National Security Adviser H.R. McMaster, Umarov said that the official presented Washington's strategy for Afghanistan. It was very much in line with what Kazakhstan wanted and there was general support for the strategy among other members of the Council also, he said. The approach to Afghanistan is more comprehensive, he said. There is a need for an integrated approach to solving the problems in Afghanistan, he said. "We have changed the paradigm to development going hand in had with security. Other countries should also participate in finding a solution, he said. An important need for Afghanistan is connectivity to the other countries in the region, Umarov said. They should be able to perceive Afghanistan as not a threat but an attractive partner, he added. The Council has undertaken four missions to Afghanistan since 2001 and the last one was in June 2010.